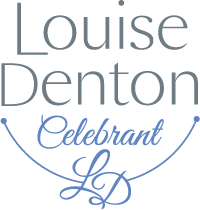 I am a modern, versatile and intuitive Civil Celebrant whose passion and specialty is to connect with you so that you are empowered and assisted to manifest the moments of your dreams. You can be confident and relieved that your story will be beautifully delivered and your unique ceremony will be created and performed with care you can rely on. I am situated on the beautiful Central Coast of NSW and I offer my services within the Central Coast, Sydney, Newcastle and Hunter Valley regions. If I am the Celebrant of your choice and you are planning your event at another location, I love to travel and I would be privileged to negotiate a mutually satisfying agreement. If you are here, you must be planning to celebrate or commemorate a significant time in your life. Congratulations on your decision to share your journey - your way. Louise, thank you so much for everything you shared with us for making our day so memorable. Your kind, generous & personable nature meant so much to us that our day was just perfect, just how we wanted it. The ceremony you prepared for our day touched the utmost personal details of our lives & for that we are so appreciative. It was so nice to have you as our chosen celebrant as everything you handled was done in a professional but heartfelt manner that only a genuine person who is passionate for the happiness of others could achieve.